West Texas Intermediate (WTI) crude futures hit $72.72 a barrel, their highest level since 2014, on Tuesday (May 22). This is just the latest benchmark in a nine-month rally that has seen oil prices soar over 50% since August 2017. Oil's aggressive rally is starting to push oil stocks up as well. This week, SPDR S&P Oil & Gas Exploration & Production ETF (NYSE Arca: XLE) overtook the S&P 500's performance over the last year. 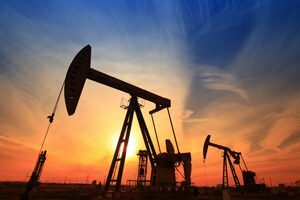 Now that oil stocks are beginning to outpace the general market, now is the best time to invest to profit from rising oil prices. And we've identified the best oil stock to buy as the rally continues. It's a mid-cap oil company that facilitates oil transportation – and will directly profit from higher oil prices. The first catalyst is rising global demand. According to the Guinness Atkinson Global Energy Fund, daily oil demand is expected to rise by 1.5 million barrels this year. This will push international oil demand to an all-time high of 99.3 million barrels. The second catalyst is restricted production rates. While rates of international production have slowly risen, it's unlikely that oil producers will be able to keep up with demand thanks to restrained production in both the United States and Saudi Arabia. Urgent: Oil prices could soar to $100 (or higher) ahead of largest IPO ever – click here to see how you could triple your money from oil's epic rise. You see, in 2016, OPEC pledged to cut daily oil production in its member states by 1.2 million barrels in an effort to boost oil prices. Because Saudi Arabia, OPEC's dominant member, receives roughly $3.1 billion a year for every extra dollar gained by oil prices, it is unlikely to roll back a policy that's pushing international prices up. Meanwhile, oil companies in the United States are taking their time in ramping up production in an effort to avoid debt. During the previous oil boom, U.S. shale producers borrowed large sums in order to ramp up production. In 2015, U.S. oil and gas companies accrued a staggering $200 billion in debt, pushing at least nine companies to declare bankruptcy. In an effort to avoid a repeat scenario, American producers are slowly ramping up production. That move is likely to result in higher prices as demand outpaces supply. In addition, growing geopolitical tensions in the Middle East are likely to send oil prices higher. With the United States withdrawing from the nuclear agreement with Iran, tensions between Saudi Arabia, Israel, and Iran are likely to flair. Any escalation in conflict between these nations is likely to result in the destruction of the region's oil infrastructure or international sanctions that further limit production. With international production limits and escalating conflict in oil-producing regions, oil prices are set to continue their rise as demand grows increasingly stronger. Our stock pick is positioned to rake in the profits thanks to this trend – and generate a killing for investors in the process.